My Best Ever Session: every time i go surfing its best. Most Recent Contest: nz secondry schools... got 9th.. Size x Width x Thickness: 6'0" - 18 1/8" - 2 1/8"
Size x Width x Thickness: around 6'6"
Size x Width x Thickness: 6'0 +18" 1/8 + 2"
My Opinion About: Farking sick..low rocker for speed and drive thru turn...good for airs!! 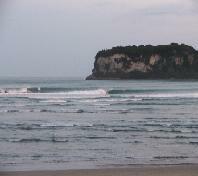 List 'My Surfed Spots' of Timewell! 1655 Guests have visited this profile..